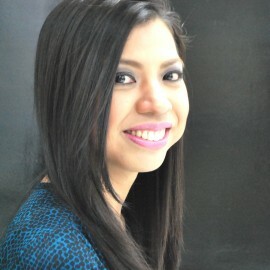 Sha Nacino took her Bachelor of Science in Business Economics in the University of the Philippines, Diliman, where she graduated as Dean’s Medalist. She is the Founder and President of Write Conversations Publishing and Consultancy. She also serves as a Director at Institute for Integrality, Inc.
She is a prolific author and one of the most sought-after speakers in the country. 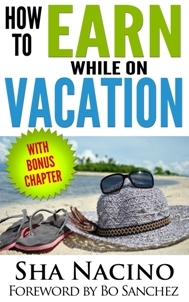 To date, she has already written and published over five books which include Think Rich, Yuppies; How to Earn While on Vacation with a Foreword by Bo Sanchez; How to Make Your Dreams Come True with a Review by Brian Tracy; How to Write a Book Even if You’re Not a Writer; and Money & Me: 9 Steps to Turn Around Your Finances and Live the Life You Want. 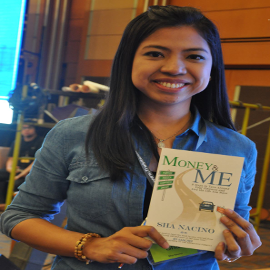 Her books were endorsed by some of the most respected authors and entrepreneurs here and abroad like Bo Sanchez, Brian Tracy, Tony Meloto, Dean Pax Lapid, Edward Lee, Dr. Larry Gamboa, and many more. Sha has spoken at several seminars such as Bo Sanchez’s Truly Rich Club Wealth Summit 2013 and 2014, Money Summit 2011, Bo Sanchez’s Bestselling Authors Bootcamp 2013, Ardy Roberto’s Project Author Classes 1.0 and 2.0, and many more! She has also been regularly invited to give talks to different companies, schools, and organizations all over the Philippines. As a speaker, Sha had the privilege to share the stage with some of the most sought-after speakers, leaders, and entrepreneurs in the country like Bo Sanchez, Dean Pax Lapid, Edward Lee, Johnlu Koa, Miriam Quiambao, Ardy Roberto, Atty. Alex Lacson, Rex Mendoza, Ai-ai delas Alas, Dr. Larry Gamboa, Benedict Hernandez, Cecilio Kwok Pedro, Tony Meloto, and many more. 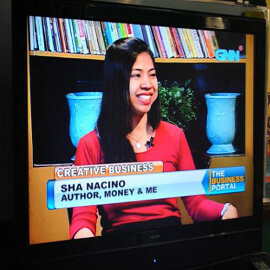 Sha has been featured in Money Sense magazine, Kerygma magazine, GMA Radio, Success TV, GNN, and Opinyon, among others. Sha is happy and blessed to have discovered her passion and purpose in life. She’s always excited to jump out of bed every morning to glorify God through her talents and passions. She aims to communicate (H.I.M.) 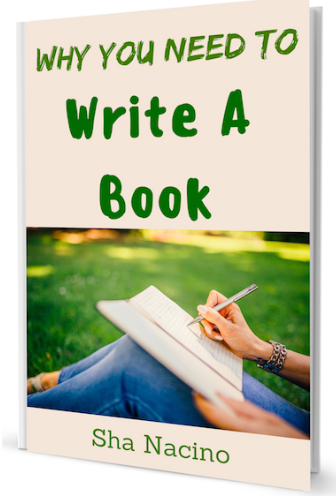 Happiness, Inspiration, and Meaning through her books, blogs, talks, and seminars. 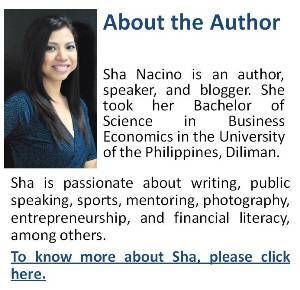 If you wish to invite Sha as a speaker, you may contact her HERE. I find this message from Bo Sanchez book, 5 Things You Need to Do Before You Die, and it stick to my mind because its relatable for me. It takes me years to finally say with conviction what I am born to do, and that is to be a wealth and life expert, which I can finally put on my visionary board. I know in my heart that it is something I want to do for the rest of my life. My heart rejoices that I can raise financial awareness of Filipinos especially of OFWs, and so be part of their success in life. Ms. Sha, may I ask if you have job vacancies for a management graduate like me? I would love to work with you and learn from you. We graduated at the same school, but it’s just I graduated from Iloilo. 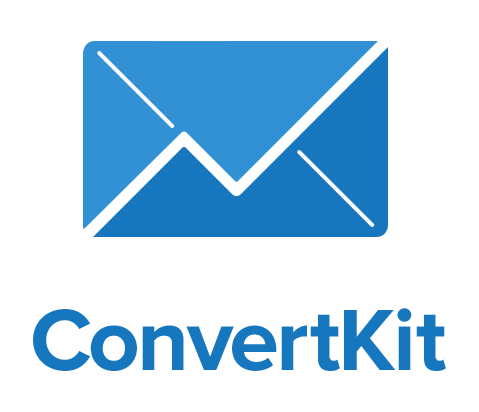 Hope to hear from you. Thank you and God Bless.